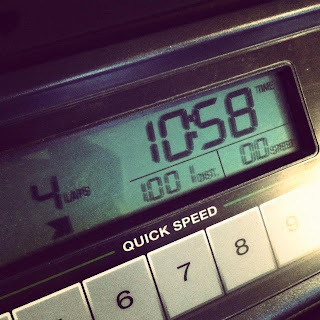 Hit my goal yesterday, an 11 minute mile! 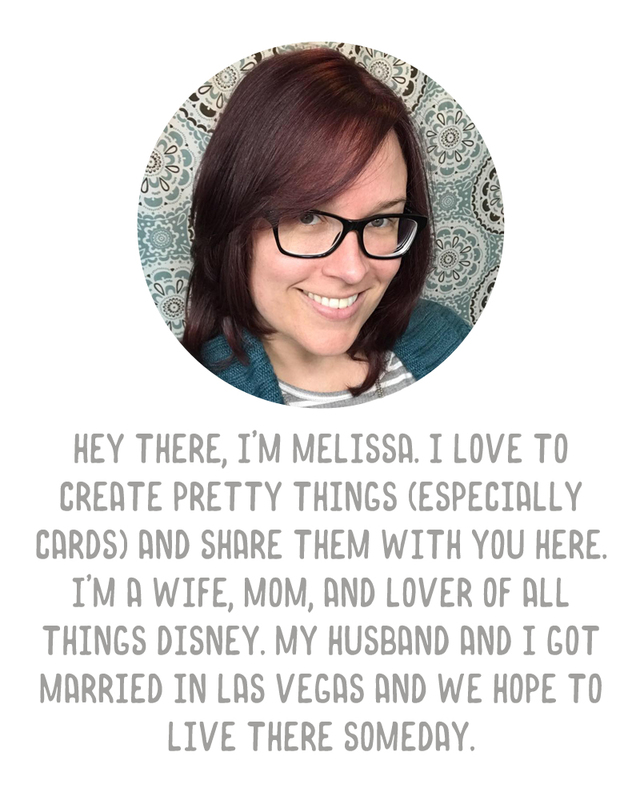 I know many of you (most of you) stop by my blog for the crafty stuff, or the photos, or the Project Life stuff, or my freebie, and that is awesome. I love and am thankful for all of my readers. And likewise, most of you probably don't care about my weight loss. That's cool too. Feel free to skip this post, you won't hurt my feelings :) This blog has always, and will always, be my real life. There's a lot of crafts and photos because that's what I do. I often discuss topics and ideas that I'm really into at the moment, and right now, trying to get healthy is a big part of my everyday. Back to the topic of this post. I hate to exercise. I despise every single second. Every step I take while running, I think "when will this be over?!" When I'm done, I feel amazing, and proud of what I accomplished. But during the workout? Forget it. I'm never going to love it, or even like it. I work out right now because I have to. I won't lose weight by dieting alone, I know that. I also won't lose this darn post-pregnancy belly without working out, even if I starved myself. Everything I've read tells me that losing a post c-section belly is so hard, and I know this to be true. Austin is almost 17 months old and I still haven't lost mine. It's reduced, but it's still a pile of loose skin and damaged muscles. I don't regret my c-section or my pregnancy, but that doesn't mean I have to like what my stomach looks like. Because I have to work so hard at making sure I work out (nevermind the actual work out), I thought maybe I'd post a few of my own tricks that I've learned to make them go by faster, and to make myself actually do it. 1) When running/walking on the treadmill, watch a video on your iPad or iPhone (or perhaps, if you're lucky to have one in view, a TV). I used to run with music, but there is a HUGE difference if I watch a movie or a TV show (or craft videos on YouTube). The time FLIES. I know Shannon told me she gets too distracted by a movie, so she likes music. I just find, for me, the movie is much better. Then again, I've always felt this way. I can't listen to music while working, because a song will come on that I don't like or don't want to hear, and then I'll have to stop and flip through to find a new one. When I put on a movie or show, it's something I know I am going to enjoy. 2) A few minutes in the morning while the shower warms up can go a long way. I do a round of pushups, crunches, and squats while my shower heats up in the morning (I have a tankless water heater and it can take me up to 2 minutes to get my shower warm). This little bit of exercise can get your metabolism moving, which is a very good thing. 3) A no brainer - put on your workout clothes. Whenever you choose to work out, whether it's in the morning, during lunch break (like me! ), or after work, get changed. That is the hardest step, because usually once you put on the clothes, your mind will decide you have to work out. And you'll do it! 4) If you hate to work out in the morning, don't say you will. I am NOT a morning person. I like my sleep. Many, many, many times I've said "oh, I'll start getting up earlier so I can get a work out in before I have to get ready for the day." Fat chance. I have never actually done it, not once. Usually when my alarm goes off the day after I've made this decision, I hit snooze and roll over and say "I'll start tomorrow." So don't even go there. Pick the time of day that is best for you. I find that working out right after work and before dinner is the perfect time - you're not full from dinner, and once you're done, you can relax, eat, and then have the rest of the night to yourself. This works especially well for me because Brad cooks all of our meals. I can run and Austin can play and Brad can cook and then we can all have dinner together. 5) Anything is better than nothing. If you can't walk 2 miles, do a mile. If you can't do 30 situps, do 20. Do what you can do, and what you have time for (and some days, there simply isn't any time). I saw a quote once on Pinterest, something about an imperfect workout done today is better than a perfect workout put off forever. Don't feel bad about not being perfect. Feel good that you did something, instead of lying on the couch. A month ago, it took me just about 15 minutes to do a mile. And I couldn't run one, I walked most of it. But I started. I got on that treadmill several days a week, and my goal was to increase my speed, and my distance, every time I got on there. Sometimes, I could only do a half a mile, and I'd sheepishly text Shannon, but she'd encourage me and tell me that it was awesome that I worked out. It didn't matter that I couldn't do 2 miles like I'd wanted to. 6) This is important. Find someone to be your "trainer." Shannon is mine. Every time I finish a treadmill workout, I text her a picture of my time/distance. I did this one day, and she promised me a present after I'd done 10 workouts. Around workout number 8, I told her to hold onto that present until I reached 15. I've well surpassed that, obviously, but this gave me a boost to want to make her proud every day. So I look forward to sending off that picture to her. I look forward to her feedback, her "way to go" and "you rock!" I feel that if I don't work out, I might disappoint her (even though I could never disappoint her), and this really makes me want to do it. So find a buddy, and report in to them when you've work out. It makes a huge difference, having someone to "fess up to." You are doing so great , keep it up and I love inspirational posts. I even did 15mins on the exercise bike after reading it...not much but at least I did something. That's great! I wish I had a bike - I am hoping someday to get a recumbent bike, but right now I can't convince hubby to spend the cash (and I don't technically have any room for it either!). I only have a bike... I borrowed a treadmill which I LOVED but had to give it back. My Dad bought a rowing machine whilst visiting us which we all played on and that was AWESOME for arms and legs ! But we don't really have much room to fit it in especially as I am looking for a second hand nearly new treadmill as I really miss it especially in inclement weather.